When performance matters, the Titan® XD, with AC power and IntelliBrake™ technology, delivers increased efficiency to take the burden out of your day. The Titan XD is a force to be reckoned with - featuring AC power and IntelliBrake technology, it has the stamina required to carry load after load. With impressive towing performance up to 8,000 -lbs and hauling strength up to 3,000 -lbs, it’s easy to see how the Titan XD is blue-collar grit wrapped in diamond-plated steel. 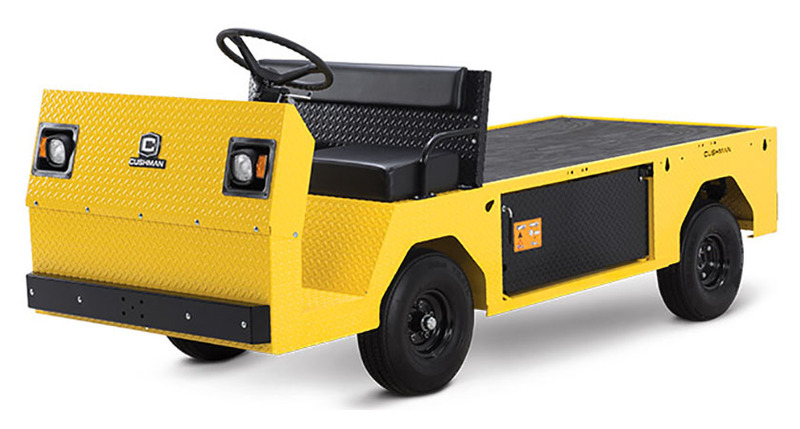 48V AC ELECTRIC DRIVETRAIN: Haul up to 8,000 -lbs. 2-OR 4-PASSENGER OPTIONS: Seating capacity choice to suit your needs. 21.6-SQ-FT CARGO DECK: Stack up inventory and supplies. INTELLIBRAKE TECHNOLOGY: Increased safety with automatic braking. FUNCTIONAL DASH: Standard USB ports, multifunction display and speed control switch. DIAMOND-PLATED STEEL: Built to last.